What gift has the power of recalling the days when you were young and cute? The power of eliciting sentimental tears? And then......BAM! Makes you laugh out loud out of nowhere? When I brought the gift over, she thought it was from one of my kids at first. But then she saw my handprints and giggled. Silly. And then she read the poem. I started getting worried when she started tearing up and said I was making her cry. I thought "oh no; stop reading now!" And then she burst into laughter. Phew. Best Mother's Day reaction ever. Her first words after that? : "That's so Kim." And then told me how she used to worry that my older brother had corrupted her sweet little feminine girl into something crude by his bad example. But now she knows it's all me. I don't know what to make of that. 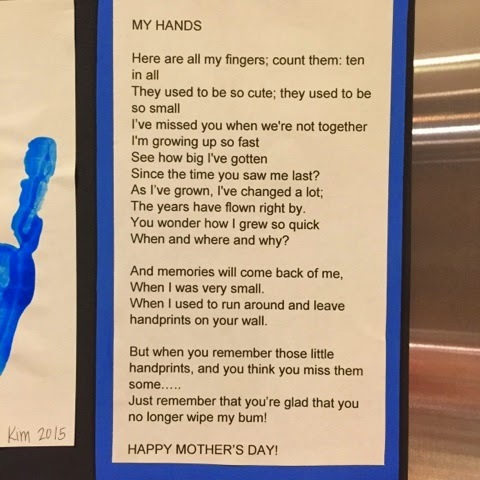 Either way, I think I made a memorable Mother's Day gift, and as an added bonus, my artwork made it onto the fridge. 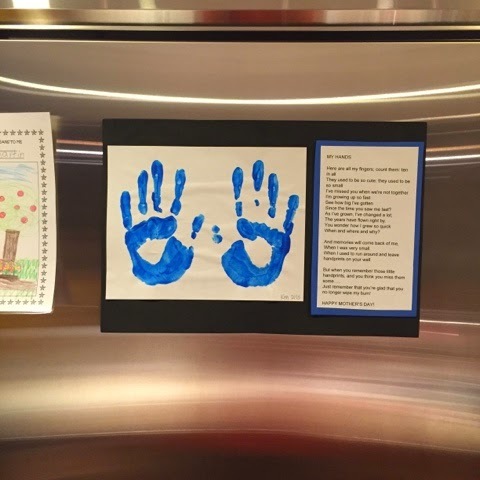 Right next to the grandkids' art! Yup, my momma's proud of me. 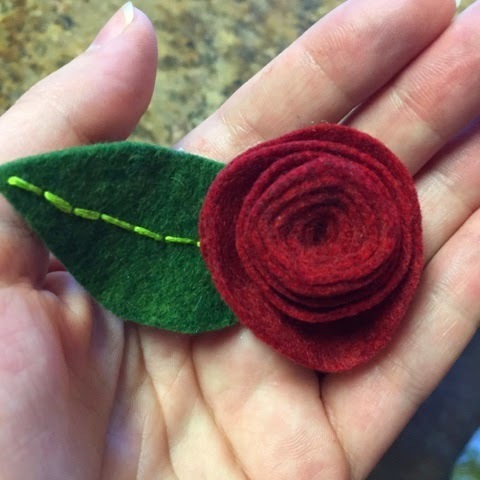 I did make a little felt brooch too, lest you think I only give inappropriate poems as gifts.